For most homeowners, the hardest part of any home renovation project isn’t the work itself, it’s finding a competent and reliable contractor to do the job. Installing kitchen cabinets, knocking down a wall or retiling the bathroom is simple compared with the struggle of hiring a quality contractor who will perform at a high level from start to finish. Forget the basic, unattractive bathtub that typically hides behind your shower curtain. These days, bathtubs can be pretty, elegant, and streamlined. From a whirlpool system to a soaker tub, today's bathtub styles and options can be the centerpiece of your bathroom. Some households are tougher on their floors than others. Learn about the different types available and determine what flooring best suits your needs before you remodel. Get tips on how to find the right cooktop, fridge and more for your remodel. The backsplash peeks out between your cabinetry and appliances, but its importance shouldn't be underestimated. It can serve as a understated unifier or steal the spotlight from the sink and oven cooktop. After all, the beauty of a backsplash is in the eye of the beholder. Bathrooms continue to top homeowners’ lists of popular rooms to remodel—and for good reason. As more Americans are carefully investing in their homes rather than selling, they realize the value of a bath redo extends beyond enjoying new decor. Find the type of bathroom flooring that withstands moisture, looks attractive and feels good underfoot. When it comes to bathroom flooring, you’ll find a wealth of options to fit any budget and style. Keep in mind the needs of the people who will be using the bath as you make selections, then let your style preference and budget be your guide. 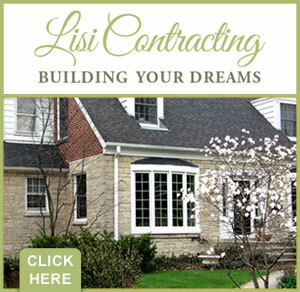 Check out our blog for helpful home maintenance tips and guides!